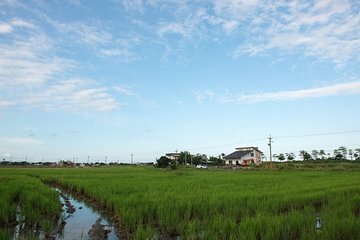 Discover the real Taiwan on this private 2-day Yilan trip from Taipei. Sample delicious honey at a bee farm in Yilan, Taiwanese whiskey at the Kavalan Distillery and local fish at the BaJia Fish Farm, and gain insight into the flavors the Taiwanese love. Explore Plum Blossom Lake with your private guide and mingle with the locals at Luodong Night Market. Hike through the Limen Shipan Forest to the magnificent Shipan Waterfall. Prepare and enjoy a delicious Taiwanese lunch, then explore Taiwanese living. Pros:The itinerary was great and we enjoyed the sites very much. Guide was agreeable to show us place we were curious about additionally if it was on the way and accessible. Cons: In essence there were no real guide. It really should be clearly noted in the tour description. We only had a driver who worked to drive us around and could NOT and did not really do too much guiding. Many sites were unfortunately crowded due to the timing of the trip so when we couldn't find parking we were either asked to forego going to site or go by ourselves. I am not sure if there was any other alternative but I think if the tour had some guidance and told the customers what would and could happen before hand it would be easier to take. As with English speaking tours from our other experiences, it would be nice if the English was easily understandable for non Chinese speakers. Most people speak English in Taiwan but not everyone can give speeches or tour talks in English. For us we are used to having prepared talks of the specific areas that we visit to give some historical, geographical or sociological perspective etc. Those kind of things enriches the experience for many. Otherwise it is more of a self guided tour with transportation with someone who can understand English. I hope the above is helpful for Viator. This is my 3rd trip which was distinctively different from my other 2 which had both driver and very fluent English guides. If you had to charge more for the needed service and quality I think it would be fine.